Cleaning hardwood floors can be a difficult task especially when using any type of vacuum cleaner. More often than not, you will find scratches on the wood finish with a lot of debris and dirt left behind. For this reason, you should look for alternative ways of cleaning your hardwood flooring or better yet, use a vacuum dedicated for hardwood cleaning. A vacuum cleaner for hardwood floors has special features that eliminate all the dirt and debris while leaving the surface unscratched. This type of cleaner also differs from the rest in terms of design. Most of them have rubber wheels as opposed to the plastic wheels in the ordinary cleaners and the attachments have softer bristles. The beater bar on these vacuum cleaner turns off automatically in order to protect the floor against scratches. There are different types of hardwood vacuum cleaners available starting from uprights, canisters all the way to cordless types. If most parts of your house have hardwood floors, then you should get a vacuum cleaner suited for the task. However, you can get one with versatile functionality to work on different floors conveniently. Below you’ll find our best vacuum cleaners for hardwood floors. 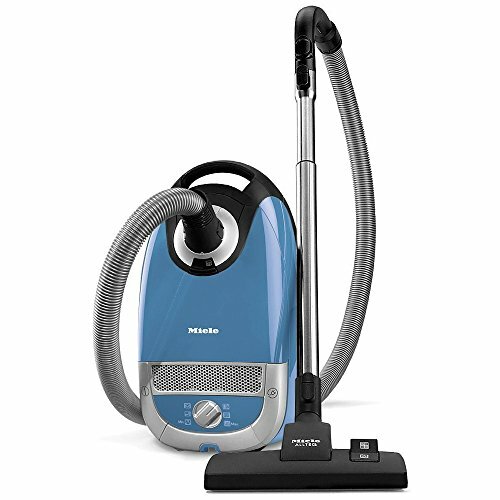 If you want the best cleaning performance on your hardwood floor, then this Miele Complete C2 vacuum cleaner will not disappoint. It is lightweight whereby you can easily take it up and down the stairs. It adopts a durable design that lasts up to 20 years while delivering unparalleled performance on the floor surfaces. This is thanks to the powerful Miele’s Vortex motor engineered which is also responsible for the silent operation. When using this hard floor vacuum cleaner, you will get extremely clean air because it incorporates Airclean GN Dust Bag, Super Air clean Filter together with the sealed system construction. The Miele C2 has built-in tools meant for versatile cleaning. These include the crevice tool, upholstery tool and a dusting brush. There are six suction settings on the electronic suction control dial for drapes, furniture, throw rugs, silent operation, large area rugs ad bare floors. When the bag is full, you will get notified to change it. The telescopic stainless steel wand allows for easy height adjustment with a single touch of a button. In addition, this vacuum cleaner includes the SBB400-3 XL Parquet Twister Floor Brush to easily and gently rotate on smooth areas. Shark Rocket DeluxePro is the best vacuum cleaner with plenty of features that enable smooth operation. 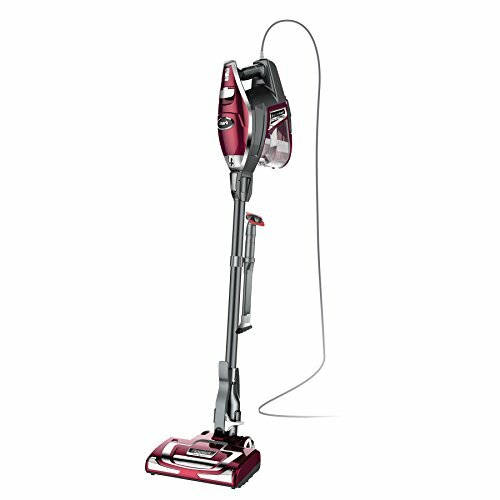 It is a super lightweight upright vacuum that allows you to deep clean surfaces with much ease. Being a 2-in-1 vacuum cleaner, it cleans both your carpets and hardwood floors and ensures no dirt is left behind. If you are looking for a vacuum cleaner that will be used for small spills and easy pick-ups, then this Shark Rocket is the best option available. The Shark Rocket has numerous attachments that enable you to deep clean every floor surface. These include duster crevice tool, pet multi-tool, hard floor hero and a wall mount. Powerful LED lights are located on the handheld vacuum cleaner as well as on the nozzle. The advanced swivel steering lets you move around furniture with much ease. The Elite 31150 vacuum cleaner by Kenmore provides a more powerful clean on a single operation. This is due to the fact that it uses the 2-motor system which includes a powerful 3D inducer motor. With this, the cleaner will never loose suction and will remove all the dirt and debris. It is a versatile vacuum cleaner suitable for use on carpeted and hardwood floors. Featuring five height adjustments, this vacuum cleaner is perfect for cleaning every surface, high or low. In addition, it features HEPA filtration that traps more debris, dust, dander, pollen and other pollutants that may cause allergic reaction to the user. What’s more, it has a telescopic wand with three attachments for extended cleaning. Most importantly, the LED Infrared dirt sensor eliminates all dirt in darker areas. Bissell Deluxe canister vacuum is the safest cleaner to use on your hardwood flooring. You can use it to clean the most delicate surfaces with powerful suction, leaving the area looking as good as new. There are intelligent fingertip controls that allows you to adjust the suction power when vacuuming different floors. The presence of rubber wheels and tread felts show that you will not see scratch marks on the floor after working on it. In addition, the bristles found on the brush are extra soft for gentle cleaning on the hardwood floors. It is equipped with attachment tools for easy cleaning. The best part about this cleaner is that emptying the tank is done in simple steps and also, it has an automatic cord rewind. Additionally, it has a telescopic extension wand to extend reach in higher surfaces. Shark Navigator is a conventional upright vacuum cleaner with powerful performance on all surfaces around the house. For one, you can easily lift the canister away from the unit by pressing a button while thorough cleaning your house. This allows you to clean hard-to-reach areas effortlessly. It is lightweight and it features Anti-Allergen Complete Seal technology as well as HEPA filter to provide clean air upon use. You can use it to deep clean carpeted surfaces and when it gets to bare floor, there is an automatic brushroll shutoff for gentle cleaning. The swivel steering is great for navigating around furniture. 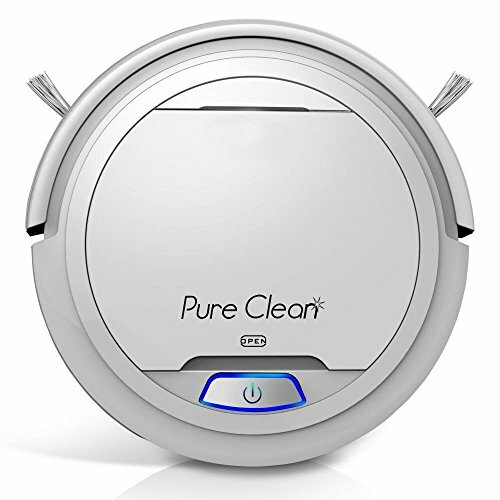 If you want a hands-free vacuum cleaner for your hardwood floor, then this PUCRC25 Robot Vacuum Cleaner is the most affordable solution. This is the latest 2019 model with numerous advanced features including increased battery life and powerful cleaning performance. It is suitable for hardwood floors, short carpets and tile floors. Featuring a low profile design, it can easily move around the room and fit under furniture. The dual rotating brushes eliminate dirt and debris especially in corners and on hardwood floor. Using it will not cause allergic reactions as it has HEPA filter to trap fine dust particles inside. What’s more, it will automatically detect obstacles to avoid them while cleaning. Not all vacuum cleaners are suitable for hardwood flooring. Which leaves the question: what type of vacuum cleaner is best for hardwood floors? Going through the factors below will enlighten you on which vacuum cleaner is the best for your hardwood floor. This way, you will be able to make the right buying decision. Vacuum cleaners are divided into various categories to choose depending on your preference. The most common include the upright, handheld/stick, robotic and canister vacuum cleaners. Upright vacuum cleaners: These are commonly found in homes as they provide versatile functionality. You can use them on carpets as well as on hardwood floors and are best for cleaning large areas. They use either dual motor or single motor to operate. Handheld & stick vacuum cleaners: These exhibit a lightweight and compact design to hold them easily by hand. Most are cordless with a powerful battery pack for efficient performance on all surfaces. They are best used to eliminate pet hair in hidden areas without consuming too much power. Robotic vacuum cleaner: This type provides hand-free cleaning as it is programmable and able to move without being propelled. It will only work on the specific task you set it up to do. Most have sensors that enable them to skip obstacles. If you are a busy home owner and still want to keep your house in a clean condition, then this is the right type to go for. Canister vacuum cleaner: As the name suggests it has a bag and the motor is in a separate unit. This type is lightweight and easily maneuvers around hard-to-reach spots. The only drawback is that it is bulky with the cord used to connect the cylinder to the vacuum head. For most people, a noisy vacuum cleaner is not ideal. Therefore, you should look for one with minimum noise production (60-65dB range). This will provide peace of mind and reduces destruction. Since you have to move the vacuum cleaner around, weight is a key factor. If you are using it in your home, then a small to medium size cleaner is recommended. The weight will determine how long and which place you will use it. Therefore, be careful not to pick the heavy commercial models. Powerful vacuum cleaners consume a lot of energy to eradicate dirt and debris on a surface. These are suitable to remove dirt that has accumulated fast and easily. The ones using less power like the handheld are effective on delicate surfaces with little dirt. When using vacuum cleaners, you are indirectly dealing with dust, dander or pet hair. These often cause allergic reactions when exposed to them. For this reason, filtration is also another factor to consider in order to prevent allergies and asthma. A vacuum cleaner with HEPA filters traps allergens to provide cleaner air for breathing. These filters can be replaced to increase performance. There are vacuum cleaners that come with an external dirt bag which can be detached to dispose accumulated dirt. These are called bagged vacuum cleaners. Bagless on the other hand, come with an integral dustbin. When full, you simply dispose the dirt and clean it for continued use. Although they are both effective in cleaning, the bagless provides more convenience. As discussed above, there are different types of vacuum cleaners. Corded are conventional vacuums that provide continuous power to clean surfaces and they rely on power sources. These have a high electrical power input to perform thorough cleaning. However, the cords can tangle or limit your cleaning reach. Also, you can trip on them and fall. Cordless, on the other hand, are lightweight and extremely portable. This type is preferred by most people as it provides cord-free convenience. However, power input is greatly reduced as it has limited run time. Hardwood floors are the most delicate of surfaces as they are susceptible to scratches. Therefore, you should get a vacuum cleaner that will work gently on the floor to provide excellent cleaning results. On this review, we have put together the best vacuum cleaners in each category for you to pick one that offers uncompromised performance. The right vacuum cleaner will gently protect your hard wood floor as well as give you clean results.